In addition to buying and selling properties, Gruppo R also works in the hotel sector. 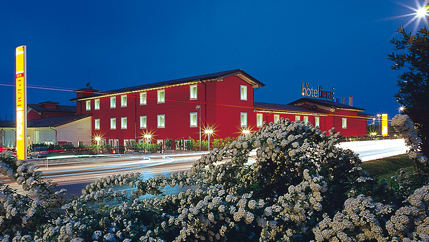 It owns and directly manages four important hotels: the Hotel Fiera of Brescia and the Hotel Primotel, located in Brescia town and strategically located near the highway interchanges, the small and charming Hotel Villa Cappellina, on the Lake Garda lakeside in Toscolano Maderno and the Palace Hotel of Vercelli, the only 4-star hotel of that Piedmont town. In a time of complicated economic trends, our group has not wanted to give up investing and doing business, but has instead multiplied its initiatives to further consolidate and create new opportunities. If you would like to take a look at our hotels, you will find a brief presentation on each of them on this page as well as links to their individual websites. 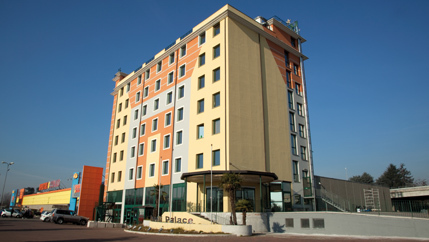 The Hotel Fiera of Brescia is a very new facility that unites efficiency, modernity and elegance. The location makes it strategically perfect for businessmen looking for professionalism and organisation and also for those not wanting to waste time on complicated commutes, unless by choice, within the city. It has 84 rooms and 6 different room types, a restaurant, conference rooms and a fitness centre. 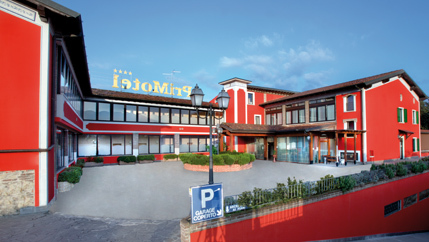 Recently renovated ancient farmhouse, the Hotel PriMotel of Brescia centre is located near the bypass road and just a stone's throw from the Brescia Centro motorway. Reception, lobby, meeting rooms, lift and bar. It has 35 rooms furnished with style and equipped with the highest comfort. Located in a lovely and quiet area below the western Garda area. Villa Cappellina is 1 Km from Toscolano Maderno and 4 Km from Gargnano. 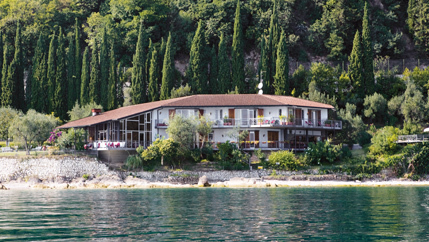 Once a private villa, it has a limited number of rooms and suites that boast an unmatched panorama of Lake Garda. A spacious garden, a large and private pool and open air Jacuzzi for an unforgettable vacation. Built in 2005, it was recently purchased by our group and has been restyled to further improve its quality standards. Inaugurated in 2012, it is the ideal solution for businessmen seeking professionalism and organisation, as well as for tourists wanting to visit Vercelli and have a pleasant and relaxing stay.